Khodiyar Industries is one of the leading manufacturer and exporter of Horizontal Tube Filling Machine in India. 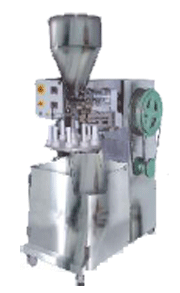 The Semi Automatic Tube Filling Machine is used for filling and sealing of laminated and plastic tubes. The machine is available in two models - Automatic Horizontal Tube Filling Machine and Semi Automatic Horizontal Tube Filling Machine. Our Machine is suitable for Cream / lotions, adhesives, balms, gums and food, piston, pharmaceutical or cosmetic products in Cream / lotion etc. No tube - No fill facility. Capacity 5 gm to 100 gms. Power ½ HP Motor, 220 V, 50 Hz, Single Phase.